This is a round Red Hat Motor Oil porcelain sign. This particular Red Hat Motor Oil sign is white with red and navy print. 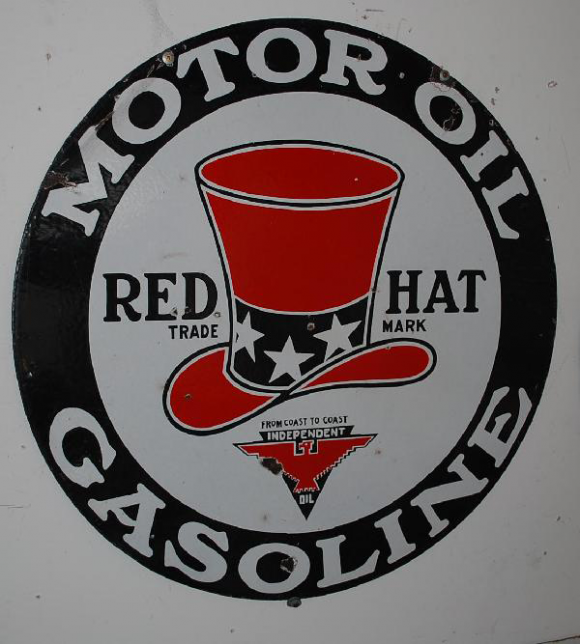 It reads, “Red Hat Motor Oil, Gasoline, From Coast to Coast Independent Oil” and features a red top hat with stars in the center.